Anyway - what is a Fingerling? (no it's not that, let's leave the filth in the first paragraph and move on with less sniggering, thank you) A Fingerling is a cute little interactive monkey toy that clings to your finger (see! that's where the name comes from) and then reacts to you like a real small animal would (without the biting). 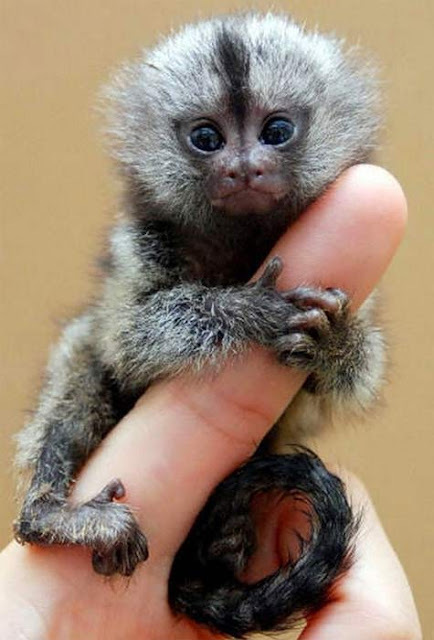 If you've ever looked at an image like this and wanted a tiny monkey for your finger than this is for you! Also if you have small kids that nag that they want a hamster but you know that a) hamsters are boring and b) you'll have to clean the cage and c) it will probably die anyway, then Fingerlings may be just what you need to add to your child's Christmas gift list this year. Fingerlings are made by WowWee a company that just loves to create new interactive toys for our amusement! 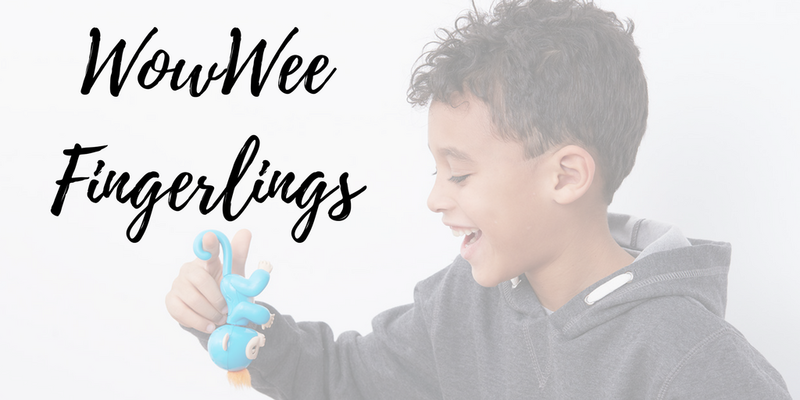 Small enough to fit on a finger, slip into a pocket or dangle from a bag Fingerlings are the perfect easy to care for, chatty pet for kids. The Fingerlings don't poop or bite, they don't need cleaning up after and they don't need feeding. They are small and cute and they make noises and move their heads and blink at you. There are boy and girl versions (obviously) but they don't breed, so you won't be overrun if you get more than one, though they may chatter incessantly to each other. So if you have become bored with Fidget Spinners...why not have a monkey to fiddle with instead! Disclosure - No Fingerlings were harmed or taken from the wild for this promotion. A captive bred Fingerling was provided for me for the purposes of the review - and one is currently in quarantine, waiting to be sent to the lucky winner.